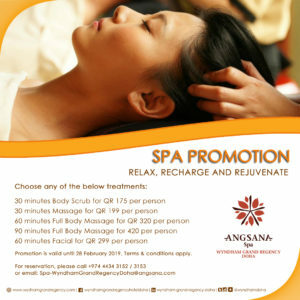 Relax, Recharge and Rejuvenate at Angsana Spa, Wyndham Grand Regency Doha. Promotion is valid until 28 February 2019. Terms & conditions apply.